Fabric and floss kit for little Cornucopia Pillow from Bareroots pattern #239 Little Fall Pillows. 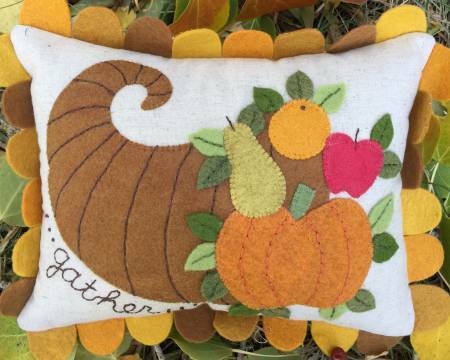 Kit includes fabric, wool felts, and floss for this charming pillow. Pillow size approx. 7in x 9in. Pattern not included.